NATIONAL REPORT—From Colorado to the East Coast, hotel companies are adding to their operating portfolios. 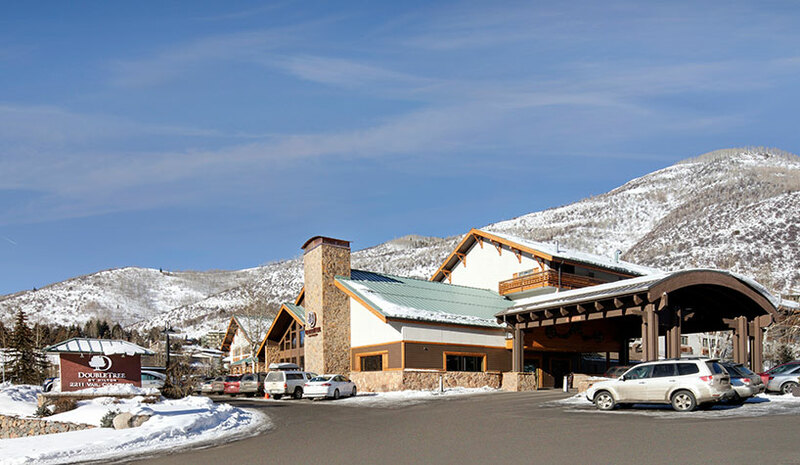 Hospitality Ventures Management Group (HVMG), an Atlanta-based, private hotel investment, ownership and management company, has announced it has taken over management of the 116-room DoubleTree by Hilton Vail, Colorado. The hotel marks the company’s 20th hotel addition in 2018 resulting in a record growth year. The Vail hotel recently underwent a transformative renovation and conversion to the DoubleTree by Hilton brand. With a “Mountain Modern” design, the hotel features a lodge-inspired lobby and bar with a ten-ft., double-sided glass fireplace framed by a dramatic LED-accented slate wall and plenty of comfortable/casual and family-friendly seating to encourage guests to hangout après ski and after dinner. Decor features natural aesthetics, including wood walls throughout the lobby, bar and great room; a front desk framed by a stunning, art-accented, charred wood, wall backdrop; modern, large format, white tile throughout the lobby, great room and corridors; and custom framed prints that provide a sense of place. Hotel amenities include a giant hot tub, an outdoor heated pool, fire pits and a bucolic outdoor fireplace. Oversized pool area rest rooms include showers and extra changing space for those families wishing to check out and ski on their last day. The on-premise Charter Sports ski and bike shop provides for all the equipment needs of skiers and snowboarders (winter) and mountain bikers (summer). The hotel also features a large, state-of-the-art fitness center overlooking the backyard. Additionally, five treatment rooms are available for a variety of massage treatment options at the on-site Simply Massage. The hotel also has more than 4,900 sq. ft. of meeting and banquet facilities. Guests are invited to dine at one of the hotel’s three restaurants. Pivot62, housed in the hotel’s lobby with high ceilings and large windows overlooking the mountainside, provides shareable plates and local craft beer. The Westside Café serves casual American classics for three meals daily, and the Casa Mexico offers authentic, made-to-order Mexican food serving lunch and dinner. Guest also can order room service or pick up grab-n-go items from the Colorado Made Market. Benchmark has added The Kartrite Resort & Indoor Waterpark to its expanding Benchmark Resorts & Hotels brand operating portfolio. Located in Monticello, in New York’s Catskill Mountains, the new property will open in March 2019 on 1,600 wooded acres, the site of the Resorts World Catskills entertainment complex. The new luxury hotel will include a state-­of-­the­art, two-­acre indoor water park with activities and amenities geared to family fun. The hotel and indoor waterpark will also feature multiple dining options, a spa, a ropes course and an entertainment arcade. Guests will have access to gaming at Resorts World Catskills and can tee off at the Monster Golf Course. The accommodations will include 324 luxury suites. The property will be part of the Resorts World Catskills campus which is comprosed of four major components, including a 100,000-­sq.-­ft. casino featuring more than 150 live game tables, 2,150 slot machines, a poker room and private gaming salons. Aquatic Development Group (ADG) has designed and is building the indoor waterpark at The Kartrite. Inspired by the architecture of indoor waterparks in Europe, ADG designed The Kartrite with unobstructed, column­-free construction that features a barrel­-shaped, transparent Texlon roofing system that will bathe visitors in natural sunlight and provide the ideal conditions for lush landscaping all year long. The energy-efficient, eco­friendly material also allows for natural tanning without exposure to the harmful effects of UV rays. Meyer Jabara Hotels has been selected to manage a new-construction Cambria hotel in Fort Lauderdale, FL, scheduled to open in 2020. Owned by Jai and Jessica Motwani, president and CEO of real-estate development group Hotel Motel Inc., the 97-room asset will be located at 2231 N. Ocean Blvd., across the street from the Auberge Beach Residences & Spa. The hotel will have views of the ocean and intercostal. Beachfront access is only feet away. Groundbreaking will begin once three existing motels are demolished. Under the design focus of Jessica Motwani and Hospitality Furnishings & Design Inc., the Cambria Fort Lauderdale will evoke a coastal modern aesthetic. The raw, natural materials of stone and wood will be complemented with clean, soft, modern finishes that provide a therapeutic space for all guests. Sandy tans and cool greys will mingle with deep cerulean bringing the relaxing beachfront into the space and enabling guests to feel the presence of the coast resulting in a relaxed and rejuvenating experience.